I am so pleased to have my gardens featured over on Amanda Soule’s blog today! It is a real honour to be included in her series of gardeners around the world. You can take a peek here at Soulemama’s blog. My youngest lost his first tooth yesterday (he is trying to show the gap in his mouth but it turns out he is sort of grimacing…funny guy). He went from wide open smiles of joy at the prospect of being considered a “big” boy, to overwhelming tears of sadness that his wee little tooth no longer belonged in his mouth. I won’t mention the panic that ensued when he worried the tooth fairy might forget ~ again! Ahhhh, growing pains happen in all forms, especially for the tender-hearted. 2. 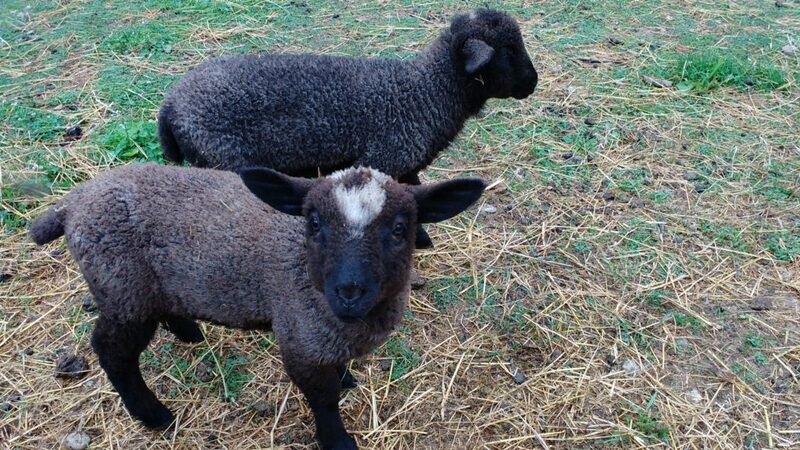 This set of twins will be the lambs who stay with us at Gladsheim Farm. Samson and Delilah are true fibre sheep with an amazing cross of Rambouillet Merino, Romney, and Cotswold genes. Already both have a lustrous, silvery crimp of fibre, at least an inch long. Besides, separating them would be so hard as they are very well bonded. We are in the midst of selling the other three lambs, all ram lambs. Such is life on the farm ~ a bittersweet mixture of hellos and goodbyes. 3. Bouquet season is in full bloom. I do so love late June and early July in the gardens…it all seems so effortless at this stage. While I know there will soon be more responsibilities and tasks to tend to, for now…it is fragrant and colourful and magical. 4. Our favourite summer breakfast is homemade granola on our own goat yogurt with berries. Because we eat low carb, we don’t use oats in our granola. 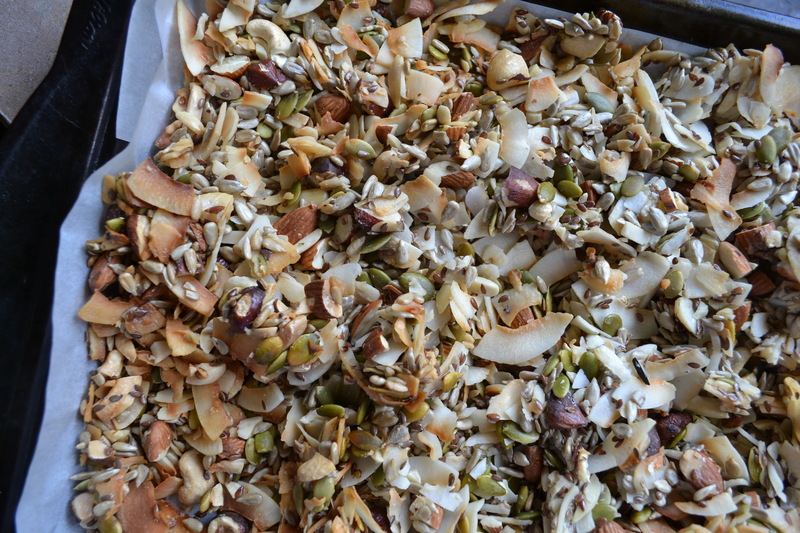 Instead, we use toasted coconut flakes and lots of seeds and nuts. A little flavoured stevia to sweeten things up and held together with egg whites. After an hour in a low oven, the granola is ready to eat. Delicious! 5. Together, these two will play such sweet doll games…Sunshine with her babies and horses, Huckley with his foxes and puppies. Hours of “doll play”, as they call it. I love this gentler side to their games…most often when it is just two of them. While it may not last, these little snapshots remind me of just how sweet and tender they are with each other. 6. Pigs are really rather delightful creatures. Inquisitive, clever, tidy (don’t let the mud splotches fool you), and entertaining. And those snouts!!!! They are working hard turning our rough land into future good grazing for the sheep. 7. I made my kids some pillows for our road trip a few weeks ago. They loved them so much and requested I make three more for our friends we visited on the coast. 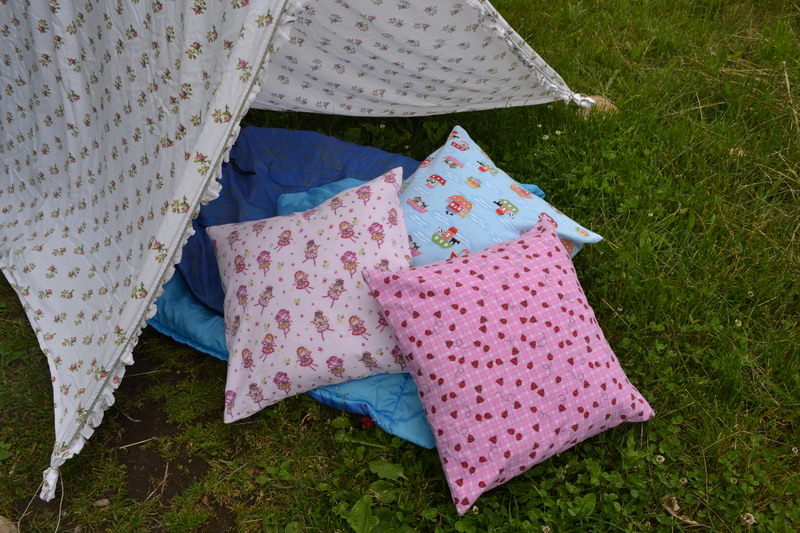 Made of super soft cotton flannel, they add a little soft comfort for a car ride or a camping trip. I then decided to make a few more pillowcases for the Mama Collaborative shop. Photo credit thanks to my husband, but the dubious look on my face makes me think he was trying to crack a joke while taking the photo. 8. I needed some new clothes so the first thing on my list was my favourite kind of top…a linen tunic. I traced an old (tattered) tunic from my wardrobe and added a little floral bias to the edges. I could live in tops like these…and I have another one cut out and ready to sew made from an Indian print tablecloth. I like the idea of a handmade wardrobe, and make most of my own clothes, but for several years I have usually taken any free moments of sewing time to make things for my kids. However, I have had very little to wear that wasn’t torn, tattered or dirty so my wardrobe needs got bumped to the top of the list. Sometimes an executive decision is necessary. Next up are a few skirts and peasant blouses. 9. Oh, I do so love that delicate time in late afternoon when the light’s intensity melts into a soft golden caress. Everything seems quieter, more hushed…a gentle breathing in time of day that I treasure. 10. I am pleased to announce that my shop, Wool Maiden Handcrafted Fibre and Yarn is now open on Etsy. 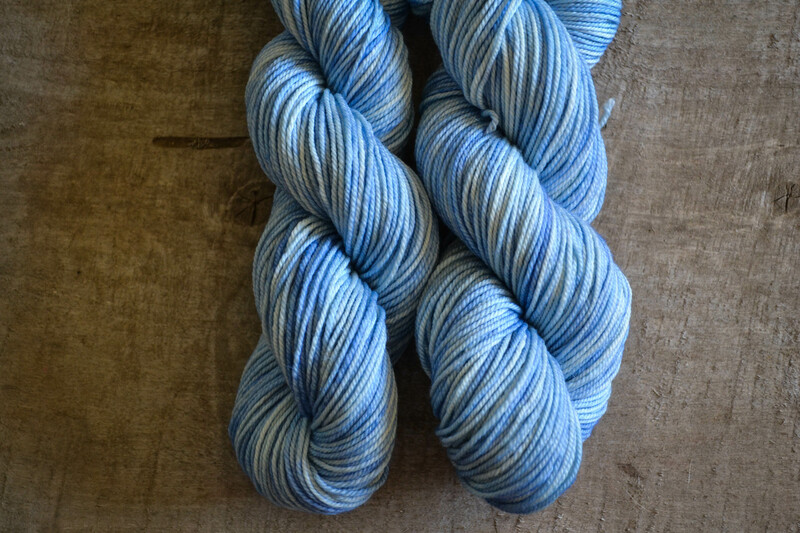 I have small batches of skeins for sale that I have hand-dyed. Most of my own homespun wool takes so long to make, it is not worthwhile to sell, although every now and then there will be a skein or two in the shop. For now, I purchase luxury yarn and dye it in colourways that remind me of our life here on the farm. 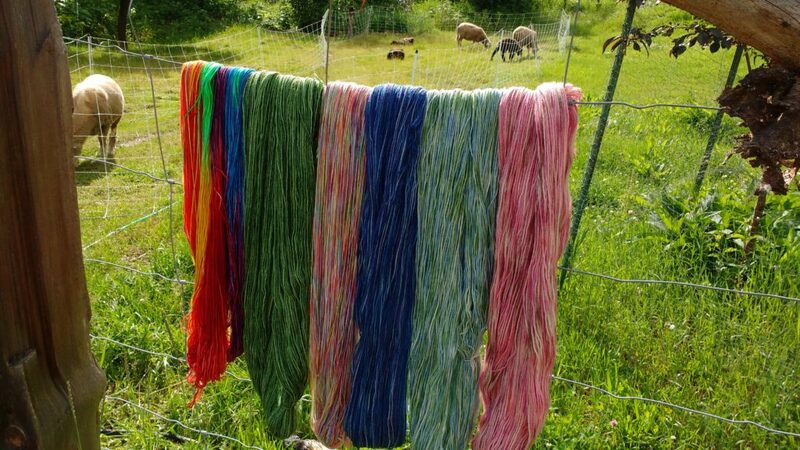 In the winter, my own homegrown wool will be back from the mill and I will sell the Farm Fresh Fibre dyed naturally with plants and mushrooms, many grown right here on our farm…stay tuned! In the meantime, I’d like to celebrate the opening of Wool Maiden Handcrafted Fibre and Yarn with a give-away…One skein of 100% Superwash Merino wool, 268 yards in “Snow Melt” colourway. To enter, simply leave a comment below. Comments will close by 9 am PST on Sunday. The winner will be chosen and announced in this post shortly after. And the winner is Ruth from Florida : “Hello. I am here after visiting your garden at Soulemama’s blog. Beautiful! I live in Florida and homeschool my 6 children. (Well, 4 since 2 have graduated!) I do not knit, but I do crochet when I find the time. Your yarn is beautiful. I have always wondered about having sheep here in South Florida, but I do believe it is too hot. Our growing season is opposite of yours. I hope to start a garden in the fall! Take care!” Ruth, I will be in touch shortly so I can send off your yarn! *Thank you to everyone who entered…I will have another give-away of yarn in early September, so stay tuned! Wool Maiden may also be found on Instagram, on Facebook, and at the Wool Maiden website here. I started a Pinterest page, too, that encompasses all things wooly under the sun! Snow Melt!! What a perfect name for that gorgeous yarn! Thank you so much, Jennifer! I’m so happy you found your way here, Suzanne. Thank you for your good wishes! I have one more question for you. I did a quick search for the granola on your blog. Would you be able to point me toward a more specific recipe? My sis is on a similar food plan and I’d love to surprise her with a batch of this yummy goodness. Thank you! Hi Suzanne…I am happy to share the recipe, though it is not my own. I can’t even remember where it came from, so I apologize in advance for not giving credit where it is due. In a mixing bowl, combine 2 cups of chopped nuts (almonds, cashews, filberts, pecans, etc). Add 1 cup seeds (sunflower and flax). Add 2 cups coconut flakes. In another bowl, beat 2 egg whites until stiff then add 1/3 dropper of liquid stevia and 2 teaspoon cinnamon and 2 teaspoons vanilla extract. Fold this egg white mixture into the chopped nuts and seeds. Spread onto a cookie sheet lined with parchment. Bake at 275 for 45 minutes then let cool. My 7 yr old daughter has Type 1 Diabetes so we need to carb count everything and for 1/2 cup of this granola, it is about 1 carb! (Regular granola can be upwards of 25 carbs for the same amount). I hope this helps your sister…so very kind of you to think of her! You are awesome!! I have a friend who has diabetes and I am always looking for treats for her as well. Thank you so much! I’m new to your blog and am glad to have stumbled upon it! Thank you for this opportunity, and I look forward to visiting this space often! The yarn is gorgeous!! Glad you are sewing for yourself! I need to do some sewing… I seem to collect patterns and fabric, need to use them! Thank you, Lee. I also am a very seasoned collector of all things, patterns included! Time to put them to use. I wish you some sewing time, too. I love your tunic! And what beautiful yarn! Hello Daphne, thank you! I appreciate your kind words. I also just found my way here from Soulemama’s. Love your garden and yarn and look forward to pursuing your wonderful blog! Hello Jeannette…I’m so glad you found your way here. Welcome. So glad I’ve found you! Followed the soulemama blog link and here I find even more fiber love. Yay! There can’t be too much of it. Oh, so fun to meet more fibre lovers! And that was what I think about never having enough…though my husband might disagree if you would see the totes in our bedroom! hehehehe. Congrats!! You are living my dream 🙂 I am a few steps behind you, though. We just got 5 sheep last month, and the garden is slowly getting bigger each year. Next year, yarn! I love reading your blog. We have a lot in common, so I can relate to so much of your writings. Thank you. Hello Michele! What kind of sheep do you have? Until April, we had just 5 sheep, too! That quickly turned into 10 within a few weeks.. 😉 I’m so happy to find you here…it is wonderful “meeting” kindred souls. We have 4 Olde English babydoll Southdown wethers and 1 Icelandic ewe. We might be getting a few more Icelandic ewes in the fall. Need to think about what kind of a ram I would like for next year. I love sheep and I am so excited to finally have some! My Waldorf inspired homeschooled 10 year old son and 8 year old daughter are also so in love…hubby likes them, too except when they have escaped! LOL Our wee homestead is growing in the woods of Ontario. Your blog has inspired me in many ways and I thank you. Hi Jules – I also just found your blog and love what I see. I stayed in Nelson a few years back and loved it there – the Kootenays are such a special place! I wish we could sit and have a cup of tea in your beautiful garden and talk all things yarn/sewing/gardening. Thanks for sharing! Blogs like yours give me such wonderful inspiration as a mother and crafter. Oh, that would be lovely to sit and chat all things crafty and gardening and Kootenays. I do feel so lucky to call this valley our home and raise my kids here. Thank you so much for commenting! I thought I recognized your story and photos on SouleMama. And Mama Collaborative awhile ago. I had your blog saved on some random tab quite some time ago and so glad I found you again. I remember the striped sweater for your daughter and the garden gate. Random things that seem to be important to me:) Funny what sticks in your head. Beautiful yarn too. Hi Traci…I’m so happy to be re-united! I also remember random bits and pieces from other people’s blogs and am delighted when I re-discover them. Wishing you a wonderful day! Jules!! I am so excited! Your garden has always amazed me with how beautiful and bountiful it is- all your hard work and love is reflected in it- I’m so glad glimpses of it are “out there” to inspire others! Gosh I miss you… we need to talk for real soon. Hello dear Melly! Thank you so much for your words and your support and your friendship these past six years! SIX!!!! I also am having fun with sewing…I can’t wait to see what you’ve created. Maybe we can chat this weekend…I’d love that. This would be lovely – thanks for the chance! Good luck, Megan, and thanks for stopping by! Thank you, Erin. I’m happy you found your way here. Such loveliness here – the garden, the innocence of children engaged in doll play, and a skein of wool called ‘Snow Melt’! I’ve enjoyed this first brief visit via Soulemama. Thank you so much, Judy, and welcome! OH MY GOODNESS !!! Congratulations on the opening of Wool Maiden and being featured on Soulemama . As a longtime follower I recognized your garden immediately. 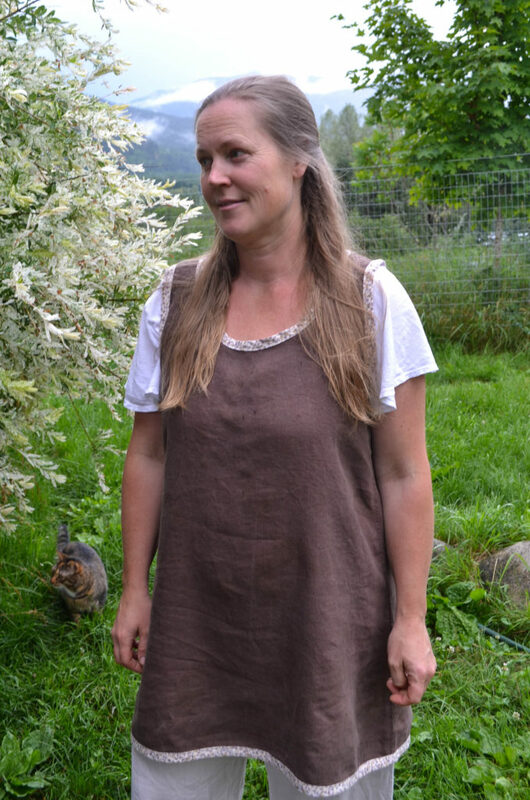 I think I could gush on about this post forever ; love your new tunic-I will set about making one for myself immediately ! Your gardens are lush and beautiful, and the flowers ! Please, please, share your skirts and peasant tops when you make them. I will stop now although I could go on and on. Love and best wishes. Hello dear Susan…I am so happy you enjoy visiting here so much. I feel so acquainted with you and I appreciate hearing from you every single time. I hope it isn’t too dry your way…those fires were intense! Helo Sarah…I’m glad you came and took a peek today. I so appreciate your thoughtful words…I definately lean towards nature colours but feel the need to step outside of my comfort zone and make some yarn that appeals to those who like brighter colours. It will be a good stretch for me! That wool is gorgeous!! I have been gifted some lovely handmade socks by my mother but would love to make some for my boys. I found your blog through soulemama today as well! Loved the garden tour. And that wool!!! If it wasn’t so wet where we live I would love to add sheep to our little homestead! Hello Shona! Thank you so much for taking the time to stop by and leave a comment. Yes to sheep…there are breeds that don’t mind the wet (think the English coast and Scotland…lots of sheep there!). Have a lovely day! So lovely ! Many thanks for the chance to discover your yarn and I hope it will be the beginning of a new story . I do hope so, too, Gris fleur. Have a beautiful day! I found your blog through your guest post on Soulemama and wanted to say “Hello neighbour”. I am just over the mountain in the Robson Valley. Your garden is lovely! Congratulations on Wool Maiden – I was so excited to see some gorgeous wool handcrafted in my neighbourhood. I wish you many moments of pleasure with your new adventure and garden free from pests. I so enjoyed reading about your garden — and your family, and your sheep! — on Soule Mama. Thank you for this generous giveaway — it would be a thrill to knit a scarf with such luminous wool. Thank you so much, Anne. A scarf sounds lovely! Your yarns are beautiful! I’m a weaver and your colors are very inspiring! Thank you, Sara! Is there somewhere we can see your weavings? I really like your blog and found you through Soulemama. your wool is beautiful! Thanks for a chance at winning it. Hi Barbara…I’m so happy you found me here. Thank you and good luck! Awesome! I hope I win. Love the color. I just found your blog and am already smitten. I have dreams of living the homesteading life someday. For now I’ll have to be content with my four sweet laying hens in a fairly suburban setting. 🙂 Your yarn is absolutely beautiful! I hope I win, but even if I don’t, I’ll be ordering some yarn for myself and other fiber-loving family and friends! Best wishes on your shop and homestead! Greetings, Kimberly. Thank you so so much for your lovely words and intentions. If you like, I am also happy to do custom orders of colours you’d like. Wishing you much happiness with your little layer girls. Popped over from Amanda’s blog. I am in love with your beautiful space and family. Thanks for the inspiration. Thank you so much for stopping by, Salma! I am so humbled by all these kind words. Thank YOU! Congratulations on opening your Etsy shop! Your yarn is gorgeous and I sincerely hope that all of your hard work pays off. My mom is teaching me to knit and your yarn would be lovely to work with. Thank you so much for sharing your life and your talent. I will definitely be visiting your blog again and again! How wonderful to be learning to knit! It truly doesn’t take long, and soon enough you’ll be knitting great things! I am so happy you enjoy visiting here, thank you! Hello from a rock in the Saalish Sea! I’m so glad you got featured on Soulemama today as I’d lost track of your blog when an old computer died, I’m so glad to have found you again! I love reading blogs by fellow BC’ers, you are living my dream! I’m so heartened by all the Canadian readers out there stopping by! Hello to you out on the ocean! Sounds like a dreamy place to be, as well! Hello. I am here after visiting your garden at Soulemama’s blog. Beautiful! I live in Florida and homeschool my 6 children. (Well, 4 since 2 have graduated!) I do not knit, but I do crochet when I find the time. Your yarn is beautiful. I have always wondered about having sheep here in South Florida, but I do believe it is too hot. Our growing season is opposite of yours. I hope to start a garden in the fall! Take care! Hello Ruth! Thank you for visiting. My parents spend half their year in Florida, too, and we’ve been down to visit a few times. I do think there are many breeds of sheep well suited to warm climates…it may be well worth looing into. 🙂 I imagine gardens are difficult to tend in a hot Florida summer. So delighted to have found your blog via soulemamma’s blog! We are hoping to acquire a lot next to our home and want to have a large garden there. I am sure I will be able to learn a lot about gardening from your blog…thanks in advance. Your yarn colors are delightful! Thanks for sharing your life online. It is inspiring in so many different ways. Hello Deb and thanks for visiting. I appreciate your kind remarks. Good luck with your new garden venture…what exciting possibilities! so so happy for you and of course we would love to be entered in the draw and I need you to teach me some clothes sewing skills I Need summer clothes so badly!! Hello Kelsey…so funny to write this after just seeing you! If we can manage to find time to sew together, first, I will be amazed, and then second, I will be thrilled. Let’s try! 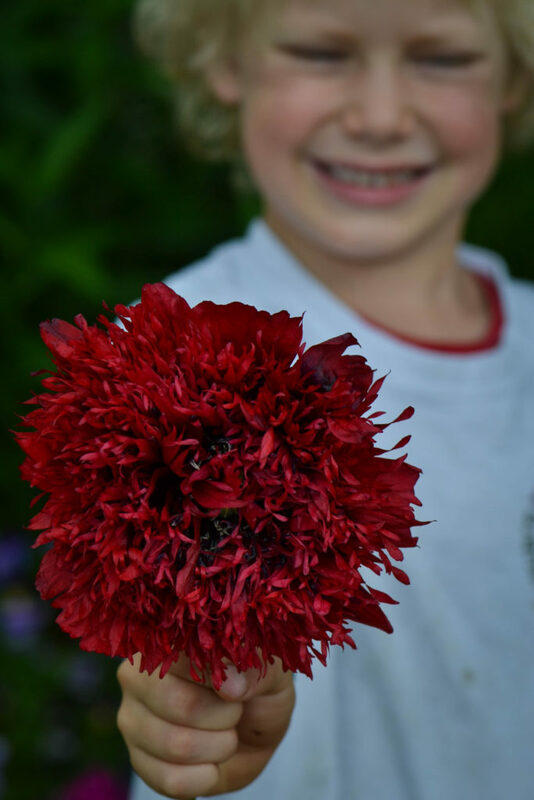 Love reading all about your garden on Soule Mama’s Blog! Thank you, Nancy. I’m happy you visited me here. Beautiful yarn, am excited to check out your etsy shop! I am also happy to find your blog from reading about it on Soulemama! Thank you, Margot. I hope you enjoy my blog. Beautiful day for sharing yarn and your garden! I used to live in Alaska and remember biting bugs being such a challenge! I love that Amanda’s blog has connected me to you. I also homeschool, sew and formerly owned a greenhouse business. 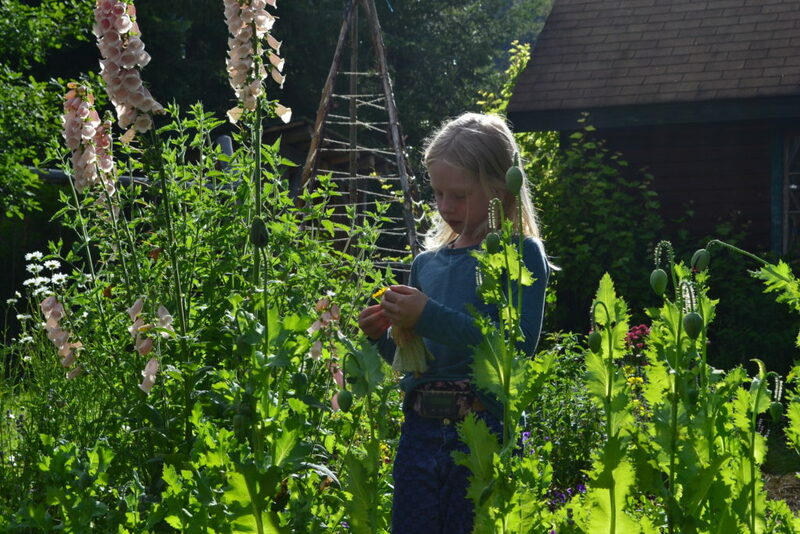 Thank you for sharing your lovely gardens and children with us. What a lovely connection to be made, indeed. It is so wonderful to know there are so many others of us out there, doing such similar things. Have a great day! Hello Sarah! I’m happy you visited…I used to live in Toronto for a few years as a teenager. I still have a lot of connections there with old highschool and university friends! I loved your post on soulemama and am anxious to read more! And hopefully try out some yarn!! I’m glad you enjoyed Soulemama’s garden post today…thank you! Hello Jules, this is my first time visiting your blog and I feel like I’ve come home! Thank you for sharing your life and gardens and creativity here. Your snowmelt yarn is lovely. Many blessings on your family and the work and care you put into the world! Thank you so much Annie…your thoughts are so very kind and appreciated. Many blessings to you as well. I am loving your yarn! That blue would be so perfect on my baby boy. You inspire me so. I hope to live a life similar to yours soon! Hello my friend! Yes, that blue would be lovely on any of your four kids! I’m sending good thoughts for you to find just the right place! Hello Carrie, so happy to hear from you. I’m glad you like visiting here. How exciting to be on Soulemama’s blog! I knew you sounded so familiar and followed here to recognise your wonderful blog that I initially found through Mamashgrove. Oh the tooth fairy also forgot one time here and we kind of saved it but had to make up a very strange story! Oh wow your yarn is so devine and a lot of work has gone in to it. Snow Melt would be perfect for our snowy winter right now. Thank you, Zena. I am very grateful to be featured on Amanda’s blog for sure! Hopefully your tooth fairy learned from her mistake…ours kept missing her duties so we hired a new one! 😉 Hopefully she’ll be more on it. 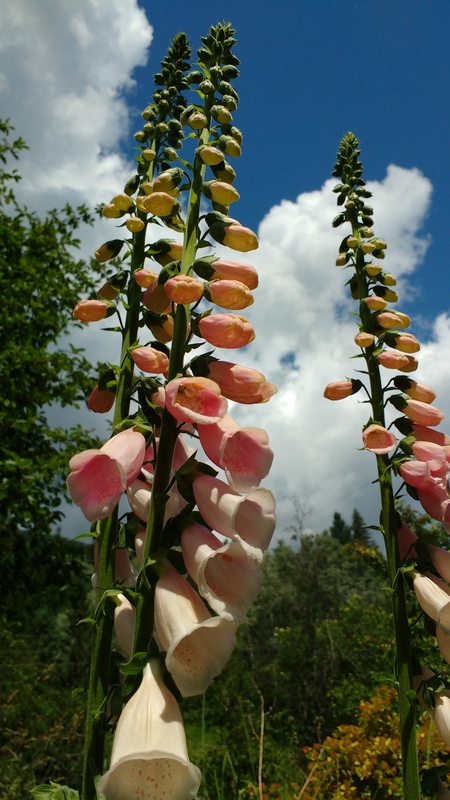 Just found your blog through Soulemama, you have such beautiful gardens! Your yarn looks great too, best wishes on your shop. Thank you, Kim, for your kind thoughts. I enjoyed your garden tour on Soulemama’s blog…then found my way to yours. Your photos are beautiful. I’ll be back to visit! Thanks for the opportunity to win some hand dyed yarn. Wonderful, Beth! I appreciate that you visited here. Beautiful yarn. Thanks for the chance. Thank you so much, especially for the wishes for Sunshine. I really appreciate them. Dear Jules..I also found my way from Soulemama’s blog..well from USA to Italy, where I live, back to you oversea. 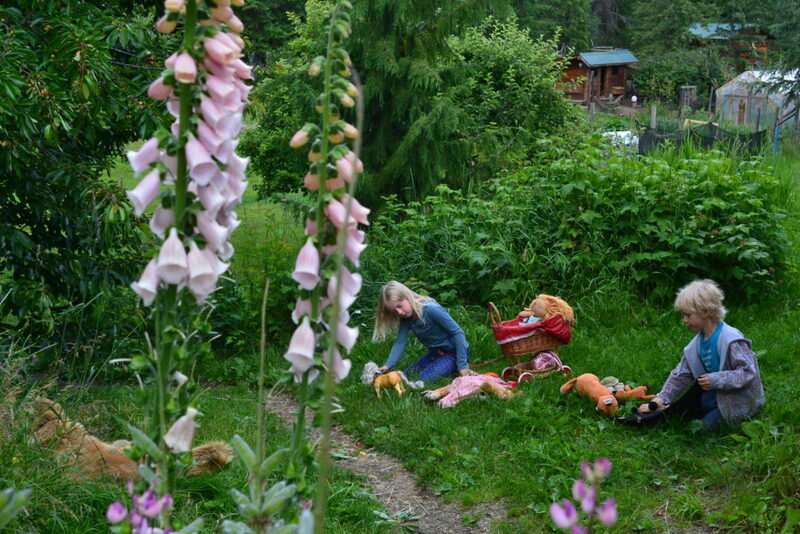 Our children are not homeschooled but they attend a Waldorf school and it is such an inspiration seeing your kids. Thank you for the chance of winning. Are you also planning to dye fabric? Found this lovely place from Soulemama, and I am smitten! Oh, thank you so much, Naomi! Welcome. Hello Katurah, and thank you for all your encouragement. I hope you find something you like one day! I’d be happy to make you something special! My daughter would love this yarn! I came here from Soulemama. Love your blog. Some new yarn would be great!! Enjoyed reading your blog too. Came here via SouleMama, a most enjoyable read. Thank you for stopping by, Cathy. Also found you via Soulemama. The yarn is gorgeous and I will definitely check out your shop. My daughter (3) also has t1d. The coconut granola is now on our menu for tomorrow. Thanks! Oh Nina, I’m sorry to hear about your daughter. My daughter was 2 when she was diagnosed. We started eating fewer carbs at meals and it has made such a difference. If you are interested, there are a few good support groups on FB that I could pass on to you…I was a moderator for 4 years on Diapers and Diabetes…just fabulous help! Good luck, and keep in touch! I just so admire your lifestyle and have no idea how the heck you do it. The yarn is gorgeous. Thank you. Also, I miss having pigs. 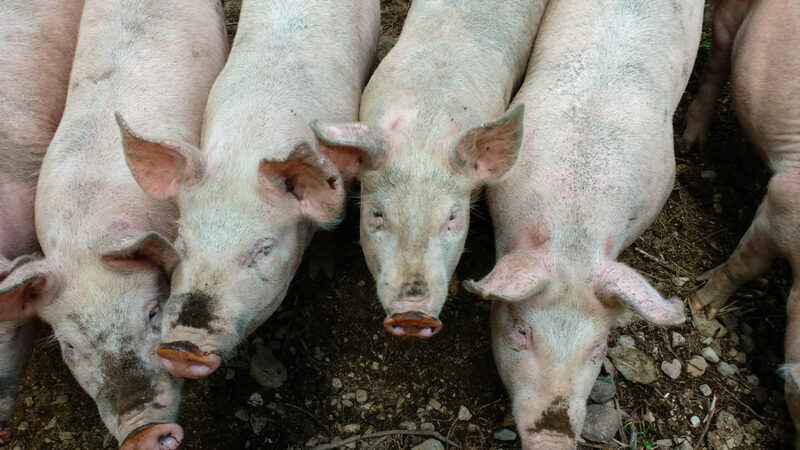 Thank you…and yes, pigs are delightful! Love the top! I want to make one now! Beautiful garden and gorgeous yarn. Thank you, Carlin! Please share if you make a top like this…I’d love to see! I know this is a really old post, but just wanted to ask if you have considered selling your processed fibre in your etsy store. As a spinner I’d love to spin fibre that came from your farm. Yes!!! That is the plan, and I hope to have raw fibre available next spring as all the wool that was sheared was sent to the mill. I might have a little merino from the first shearing available, actually…you can pm me for details. Curious, would you be interested in raw fleece, cleaned fleece, and/or cleaned and dyed roving? Thank you for your interest!!!!! Hello out there, I'm happy you stopped by! 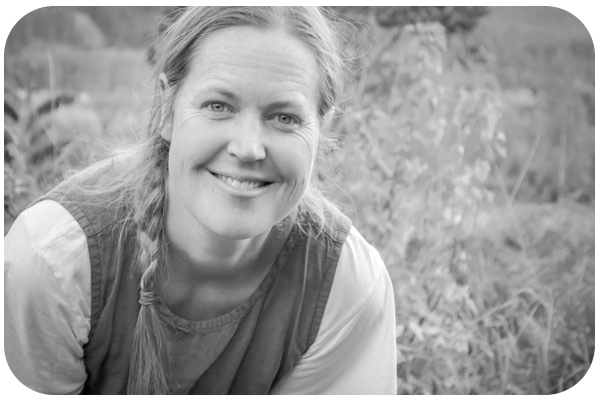 My name is Jules and I am grateful to share my family's homegrown adventures here...from homeschooling to homesteading. This space is my own reminder to savour the beauty amidst the chaos and messes of motherhood...to see the extraordinary in the everyday ordinary. Thank you for joining me.